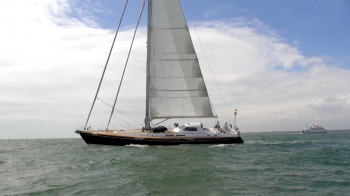 Aglaia, a 77ft 15-year old yacht designed by Rob Humphreys, was sold by Berthon in the autumn of 2015. 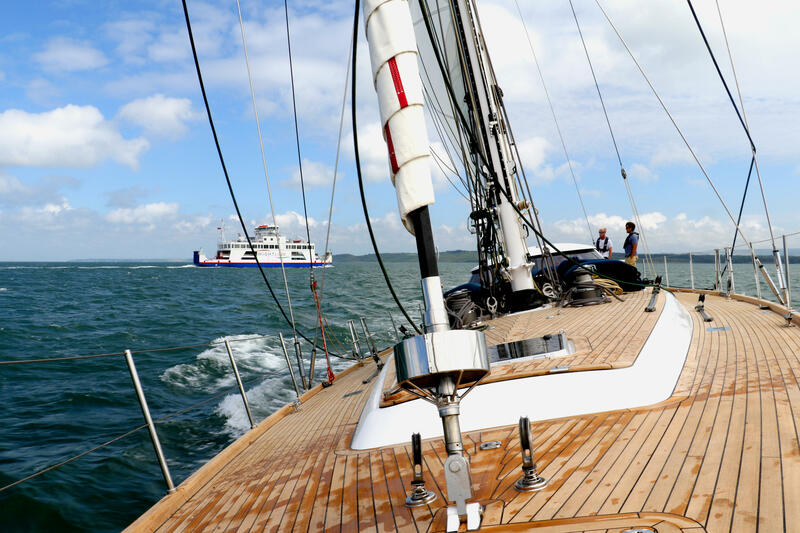 The new owner wanted her refitted and modernised; accordingly, a delivery crew brought her north to Berthon’s Lymington Shipyard in October 2015. 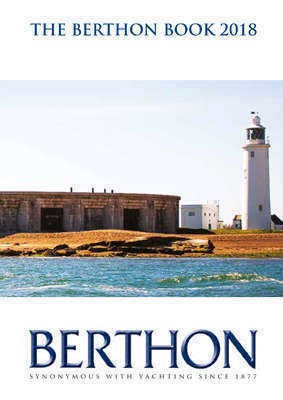 This is the story of her comprehensive restoration, a project that spanned just 9 months and was completed entirely at Berthon. 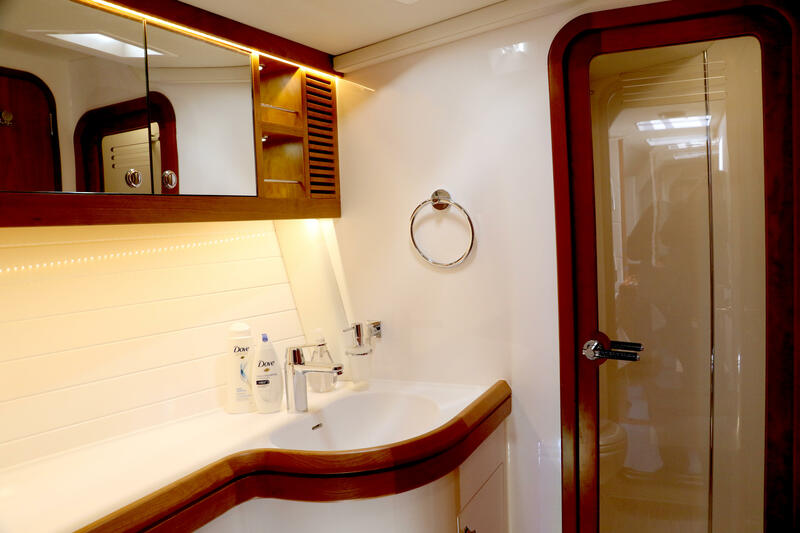 After stripping the interior for bulkhead and headlining refurbishment, it quickly became apparent that Aglaia, which has already done three circumnavigations, could benefit from input from Berthon’s Ross Monson – an experienced yacht captain and large yacht refit manager – who was assigned to the project from the outset. As with any substantial refit work at Berthon, Aglaia then underwent a comprehensive assessment prior to the project plan being consolidated and put in place. This included substancial deck, rig and rigging, electrical, electronics, engineering and hydraulics systems surveys and a full de-store process that lasted 3 weeks. Every item removed was put into an inventory database, logged, photographed and stored. 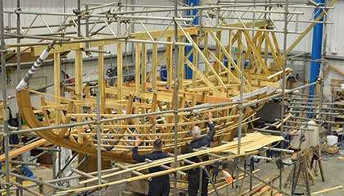 The main areas identified for work were: mast shot blast and painting; hull, coach roof and coamings paintwork; teak deck replacement; full interior refit; new rigging and sails; and marine engineering – motors and pumps, electrical, fridge/freezer and air conditioning systems and new electronics. 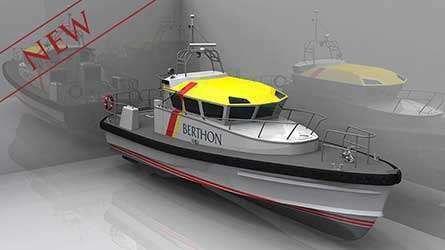 Berthon employ over 150 full-time skilled staff (including over 20 project managers and 25 apprentices) and as such comprehensive labour allocation plans across all trades jobs are worked up from the outset (and constantly tweaked) to ensure a seamless refit, with maximum efficiencies. Lean management techniques applied by Berthon Project Managers allowed us to average just over 450 hours per week peaking at 900hrs per week to attain maximum productivity on and off the yacht. The standing rigging was inspected on 28th October with the mast unstepped and all fittings removed for shot blasting and subsequent painting. Aglaia was then lifted to Berthon’s M-Shed where preparatory work began immediately, making the yacht safe for work ashore. Here, hatches, winches, tracks etc were lifted in preparation for removal of the teak deck. 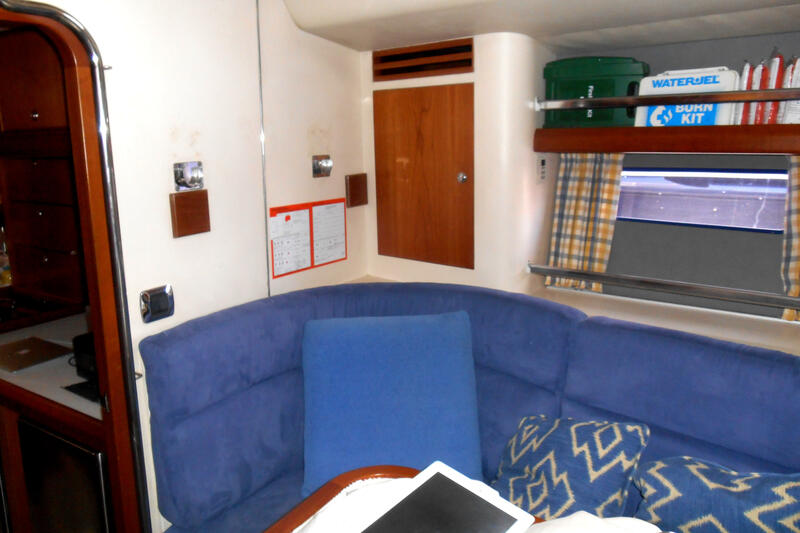 A good deal of cabinetry and all headlinings, cabin sole boards and other interior fittings were removed or stripped back so that basic systems could be accessed and the necessary re-engineering work carried out. Fixed floorboards were removed in the galley and crew quarters to improve access to fridge motors, air conditioning systems and pumps. All the tanks were emptied at the outset, pressure tested and cleaned. The engineering systems were all surveyed and assessed and a detailed engineering report was given to the owner to make his future decisions on. 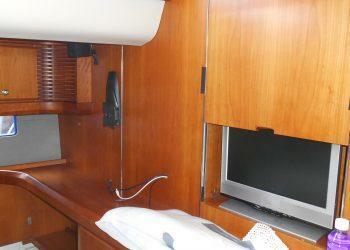 Aglaia’s interior, finished in clear satin varnish over cherry wood, had become dull. All wood surfaces were either revarnished or repainted in-situ, or removed for refurbishment in the workshops; tasks that took in excess of 15-man weeks to complete. 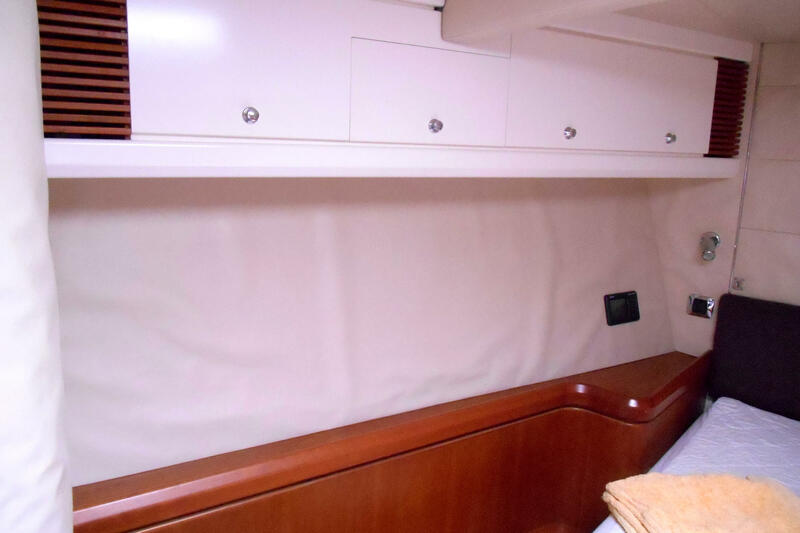 Where bulkheads in the cabins had a white vinyl finish with disintegrated backing foam, they were removed, remade and refaced with Elitis vinyl easy-to-clean material. On the technical front, direct conversations with 3M ensued, sourcing the right water-based glue for the backing fabric. The temperatures the glue had to withstand ranged from -10° to +50°C and humidity ranges between 1-98%. The glue had to be elastic enough to deal with the movement of the yacht, but firm enough not to allow creep in the fabric. For interior work small details, as ever, make all the difference and expert interior designer, Lola B Designs, ensured the owner’s vision for an updated modern décor was adhered to. 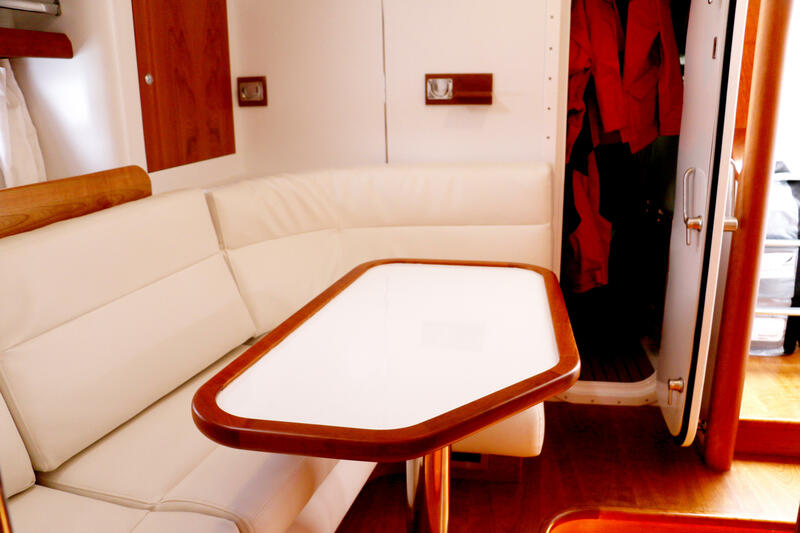 All the cushions were replaced using easy-dry foam and double-stitched leather upholstery. Over 30 individual cushion covers were made to maintain the leather in pristine condition, increasing life of the fabric. Custom Elitis headboards with double stitched (Bentley motor style) material, and headlinings were finished in macro-suede. This had to be fitted so that the suede could be brushed fore and aft, with the fibres on the suede all brushed in the same direction. Bed linen, beach towels, cushions and aprons were all embroidered ‘Aglaia’ from Heirlooms and Naturalmat. 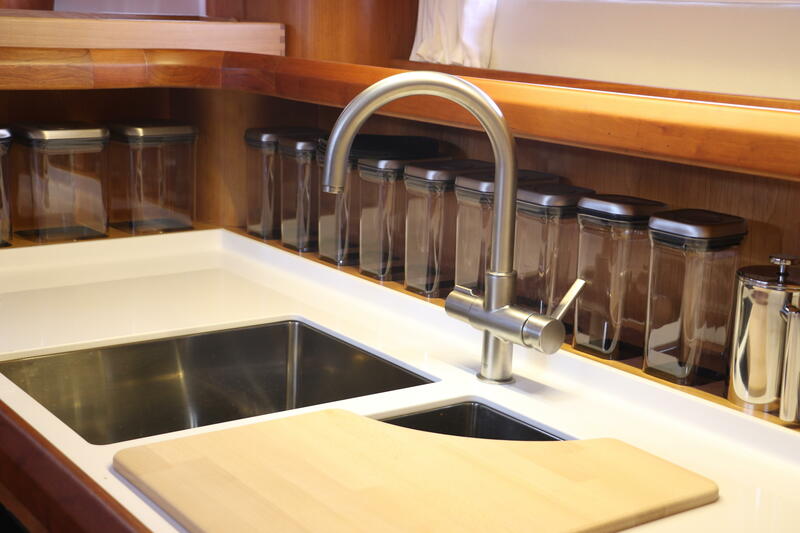 In the galley and crew area, Corian work surfaces were fitted along with a Miele oven, hob, and washer-dryer, new sinks and macerators, custom storage units and lighting. 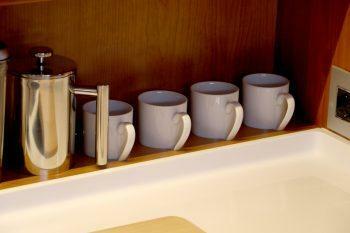 All these units were carefully honed into position with service-friendly access. 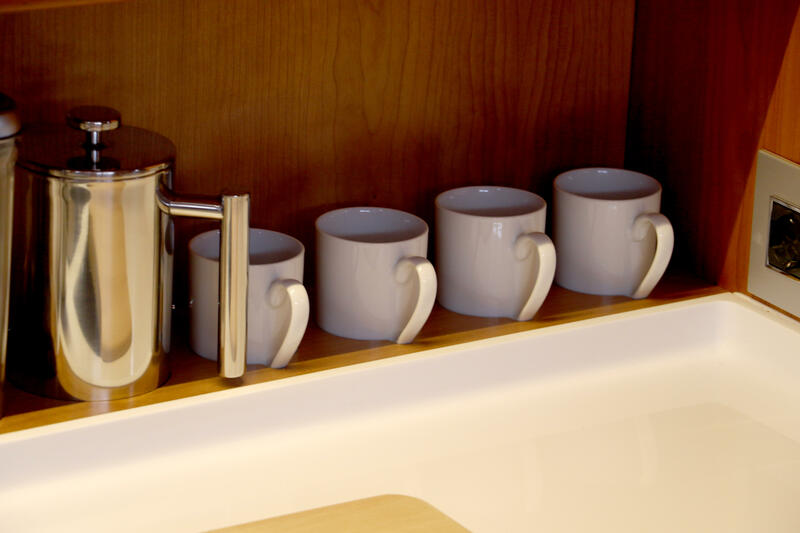 Custom fiddles and fittings were made in-house by Berthon joiners for glasses, cups and plates, which perfectly fit the John Lewis product range. 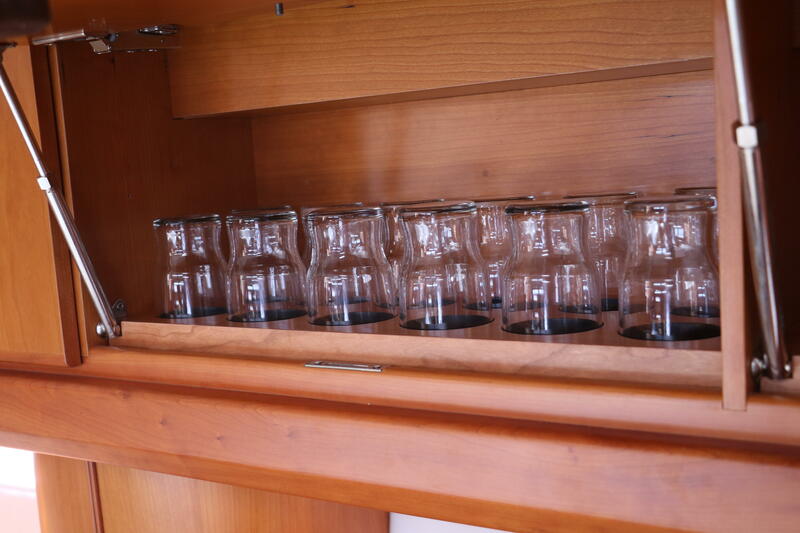 There is room for 8 to eat comfortably at the dining room table with the cabinets above customised to fit the glasses snugly when in sailing mode. 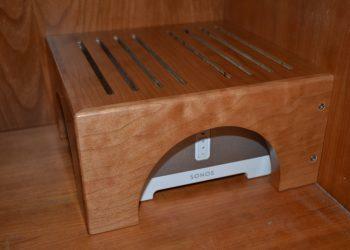 Even the bin-holders, under the sink were finished in cherry to match existing décor and varnished to a high-standard. We removed two of the old, inefficient fridge freezers replacing these with two new custom fridge freezers that were sourced and made in Italy, replacing all the plumbing, compressors and control system at the same time making Aglaia ‘greener’ and more energy efficient. Grohe showers and fittings were used, with Corian surfaces. 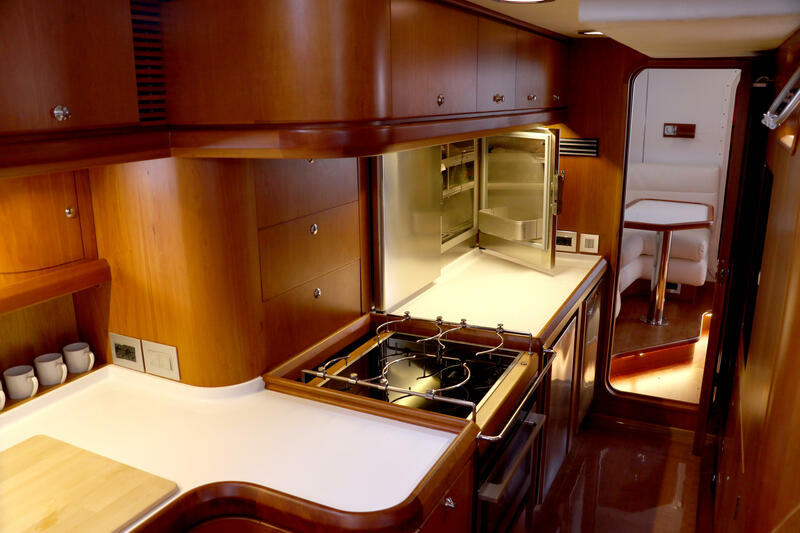 Cabinets were either made at Berthon or ordered in, then painted, at Berthon’s paint facility for a high-gloss classic finish. The lighting systems were replaced throughout with fittings that are finished in a classic brushed metal style using a mixture of ordinary LED bulbs, with 26 anti-glare LED lights and 28m of LED strip lighting to provide just the correct ambience. 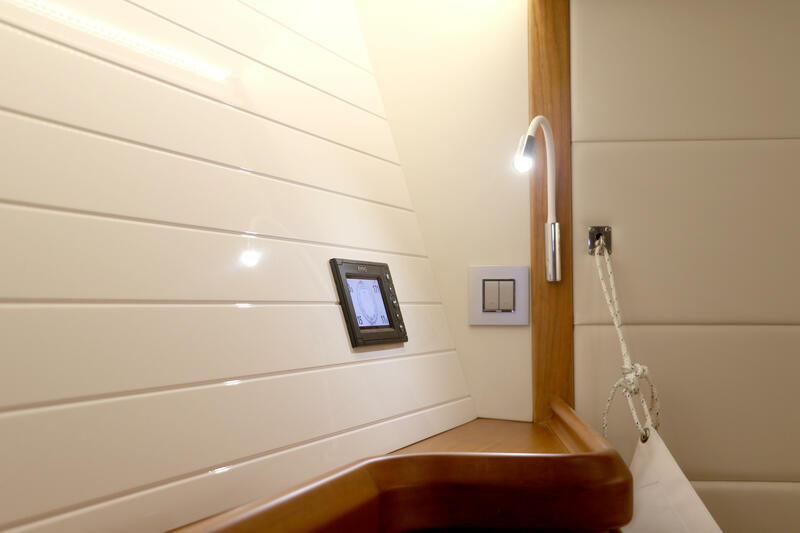 Berthon was able to completely modernise the interior, incorporating technologies that have become ubiquitous in modern life, rewiring of the yacht to accommodate a new Cisco wireless network systems for 4G connectivity throughout. This part of the refit involved partnering with some of the coolest brands in media entertainment systems such as Cornflake of London, who provided a bespoke sound system, mirroring the owner’s home set up. 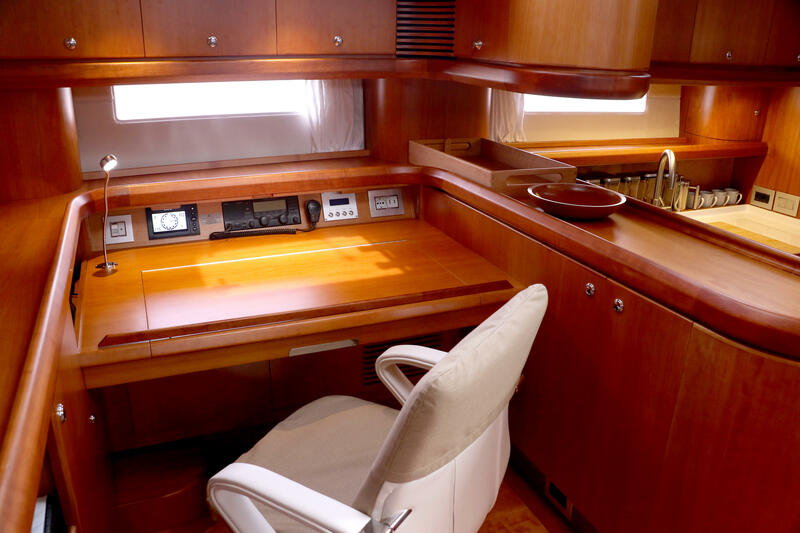 New hardware included Sonos speakers that were fitted seamlessly into the headlining and cabinets and Apple iPhone and iPad docking stations all making stowage of technology safe at sea, simple and stylish. 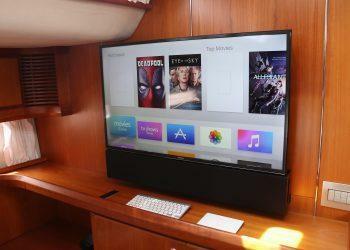 A Crestron custom app enables control and system review remotely, via a smart phone if required. 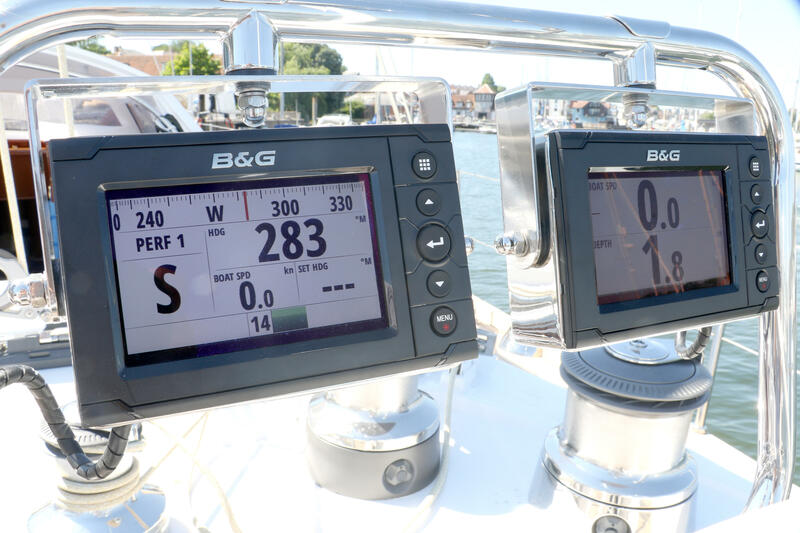 This includes all the electrical and B&G chart navigation systems, new satellite technology (Sailor FleetBroadband) and communications equipment, as well as the ability to change how the yacht is using energy. Battery levels, generator output, power consumption and the electrical system temperatures and voltage levels can all be monitored remotely. 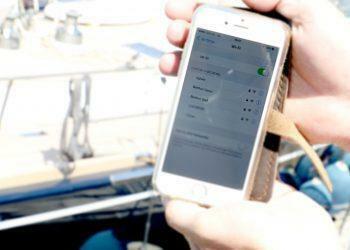 The boat can be driven wirelessly using the autopilot, and the system can be controlled and monitored from anywhere in the world via the internet. This helps with performance diagnostics allowing third parties to support the crew from their offices, ensuring timely and well-informed assistance in case of a glitch on board during Aglaia’s world voyages. 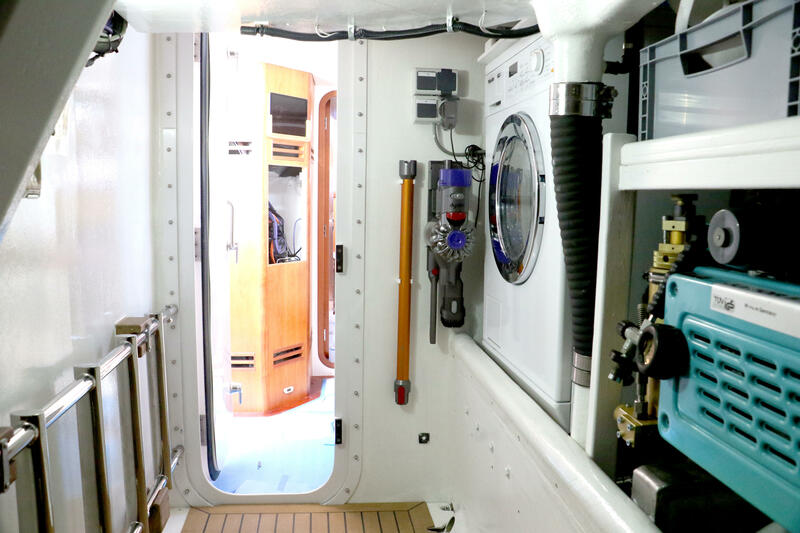 Finally, as with all good refits, Berthon stripped out and re-upholstered the crew area, with further custom stowage options for watertight captain-specified boxes under the cabin soles, clear of the bilges. On close inspection, the doghouse structure was showing signs of wear with cracks appearing at the base of the mullions which were repaired and reinforced in-situ. Whilst simultaneously strengthening the mullions so that they could better support the roof, the structure was given a modernising facelift altering the previously white mullions to match the black windows, which improved and modernised its visual profile. The windows were replaced using reinforced acrylic to help resist scratching and further reduce the overall weight. 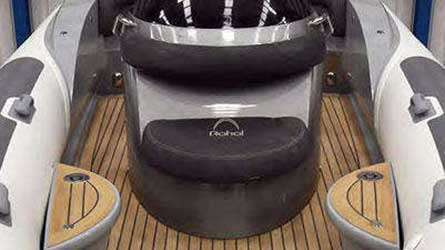 The adjacent guest cockpit teak seating area had been sufficiently protected from the elements and as such had little need to be replaced, but splits were splined and a light sanding brought the wood back to life leaving a beautifully contoured seating area forward of the helm cockpit. 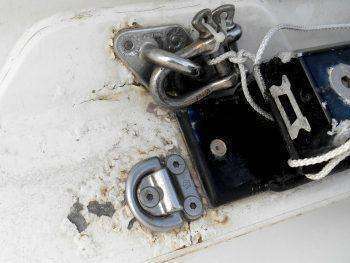 Berthon replaced all 7 Lewmar deck hatches, hatch fittings and seals. Electrically activated security bars were repaired where required, and all hatch surrounds and window trims were repainted/varnished so they appear as good as new. 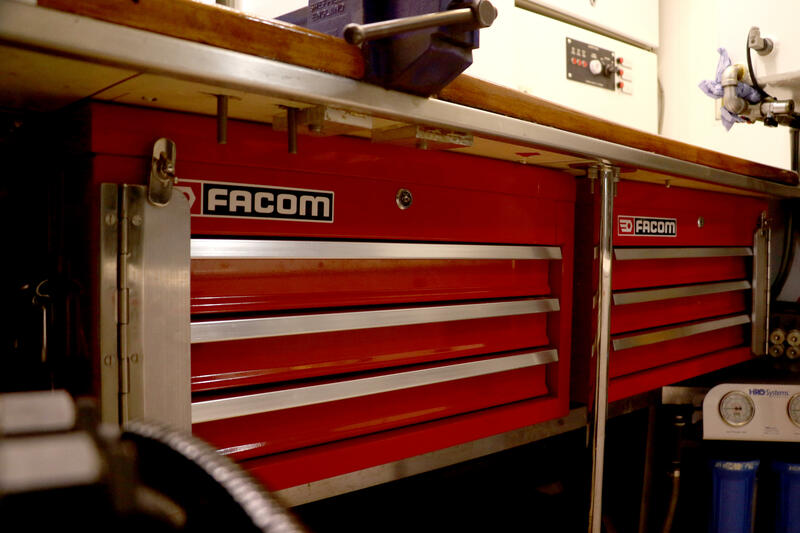 Deck blocks and deck gear were taken up to be serviced, cleaned and renovated in Berthon’s engineering workshop whilst the new teak deck was being laid. There were over 300 constituent parts to the deck. All the bolts were changed over to A4 high-grade marine stainless steel, to extend the life of the fixtures. 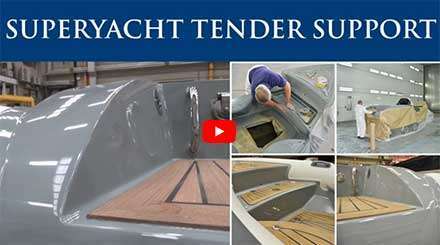 New Lewmar 66 winch bases were installed and teak deck chocks were fitted amidships for a new windsurfer, as well as on a Berthon custom built stainless cradle for the new Williams 3.85 Jet tender on the foredeck. The lazarette storage area was stripped, providing Berthon’s in-house shipwrights and marine engineers with the challenge of maximising the space for efficient usage. We customised new racks for the refurbished compressor and dive bottles and storage areas for toys and accessories. 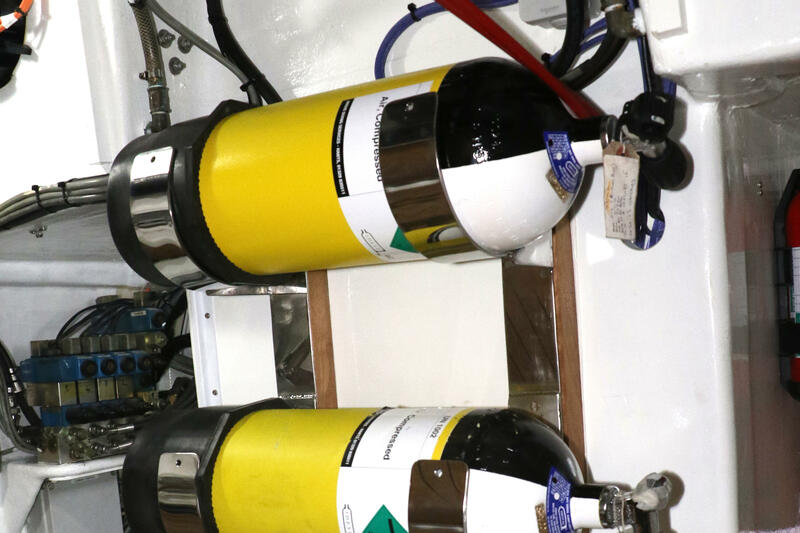 The improvements make the area less cluttered and more accessible to the crew; retrieving dive equipment, in particular bottles, is now much more simple. An internally operated blind was fitted for the lazarette protecting its contents from prying eyes, especially useful when moored stern-to in harbours. 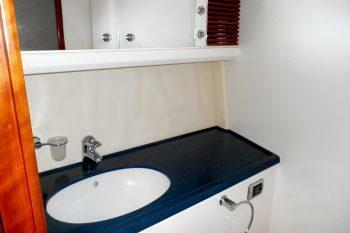 The transom door was removed and resprayed to a high gloss by Berthon’s paint team whilst attending to the topsides. 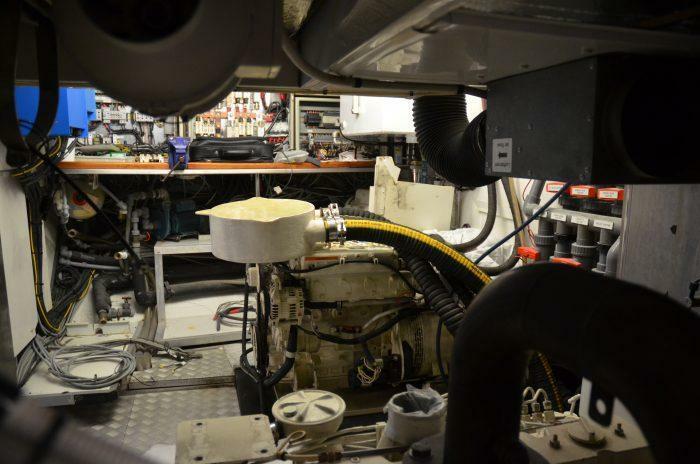 A new Kohler generator was installed and during the engine service and specialist exhaust advice was sought from internationally renowned Halyard Marine. 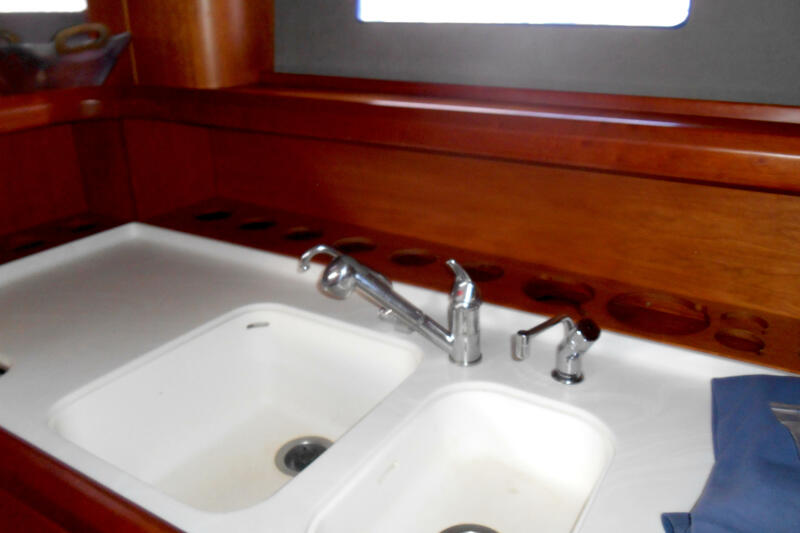 The bilge pump systems were completely overhauled, as was the air conditioning, ventilation system, fuel system and filters, hydraulic system and grey/black and freshwater systems were serviced and upgraded where the owner felt it necessary. 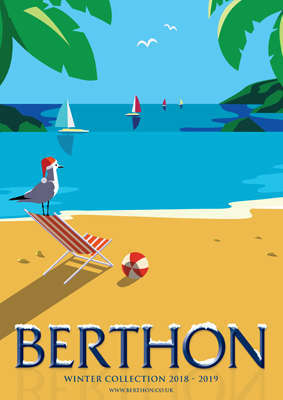 The work was all completed in-house by Berthon. 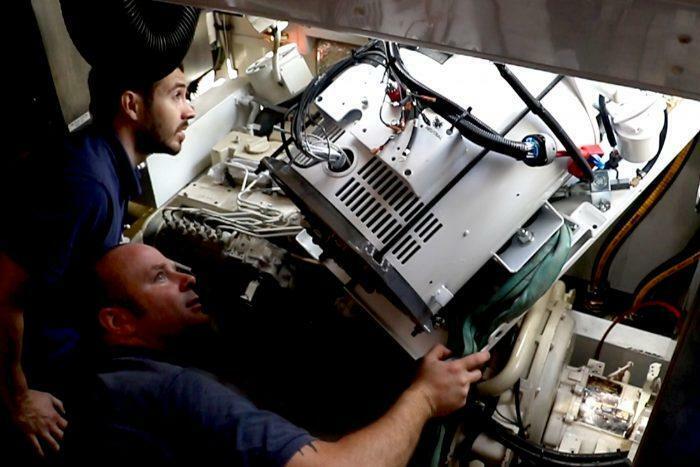 Every through-hull fitting was serviced, along with a large numbers of sensors and senders that had failed or were not working over time. When the boat arrived there were reported auto pilot problems. 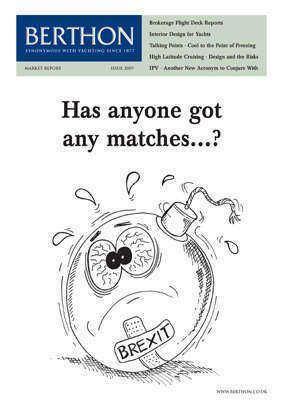 On further inspection, we found these problems to be more extensive. The auto pilot motor, Lewmar reduction gearbox, electric auto pilot motor, auto pilot controller and the bevel boxes looked as if they hadn’t been serviced in 15 years. The articulating joints were worn and stiff and the wheel hubs had bearing issues. 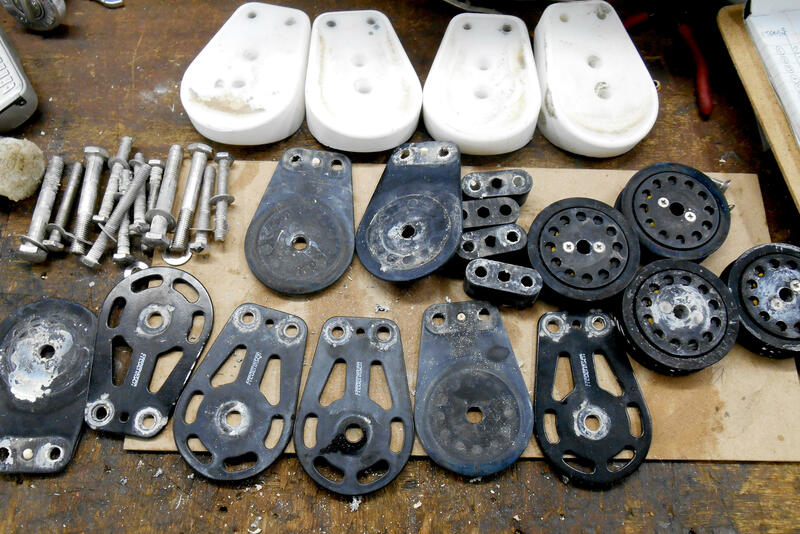 We repaired and refurbished, or replaced, all the components also installing new top and bottom rudder bearings and two new waterproof gaiters. In addition, the gears were found to have tooth-wear and damage. 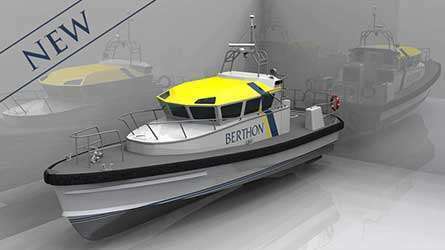 Berthon are well equipped to accomplish all this work on-site in their workshops where engineers are able to fabricate and customise parts. 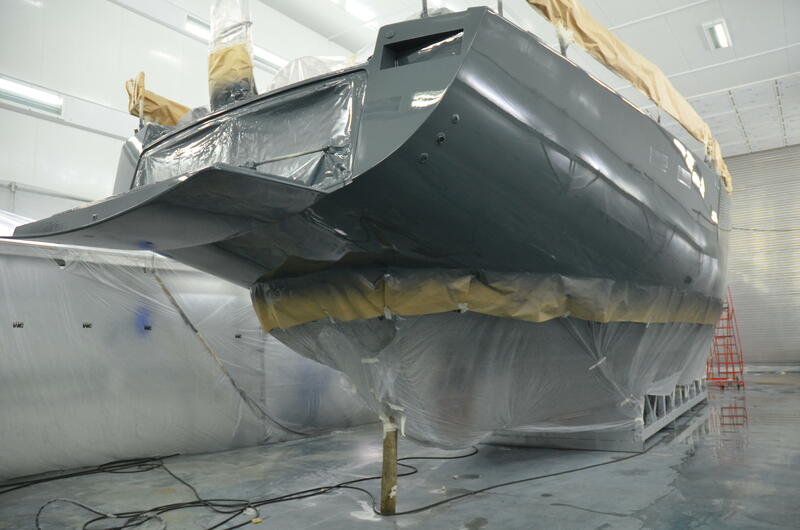 The topsides were tired; Aglaia spent many weeks in the paint preparation shed undergoing multiple hand sandings with longboards between various coats of Awlgrip highbuild and primer to achieve a perfect preparation surface for the final gloss coatings. 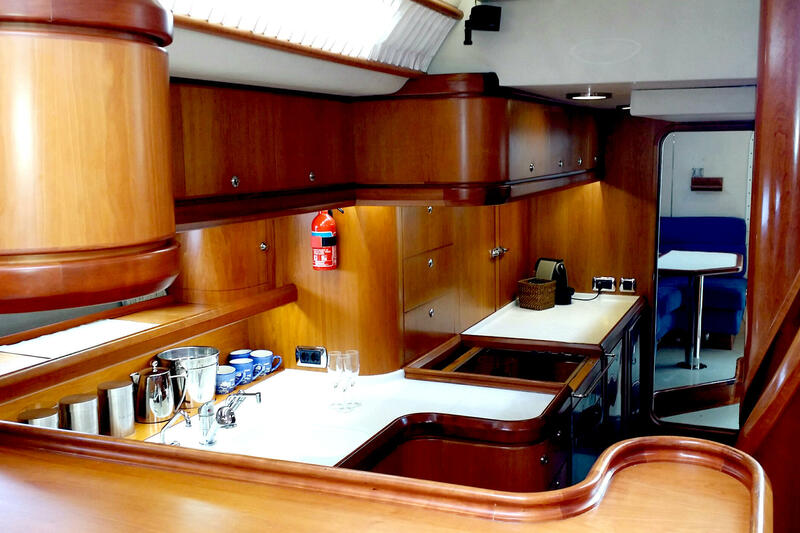 Aglaia was then moved to Berthon’s glossing booth which is kept void of dust, where topcoats were applied to hull and coachroof and coaming areas using Awlcraft 2000 in Majestic Blue Gloss and Snow White Gloss respectively. 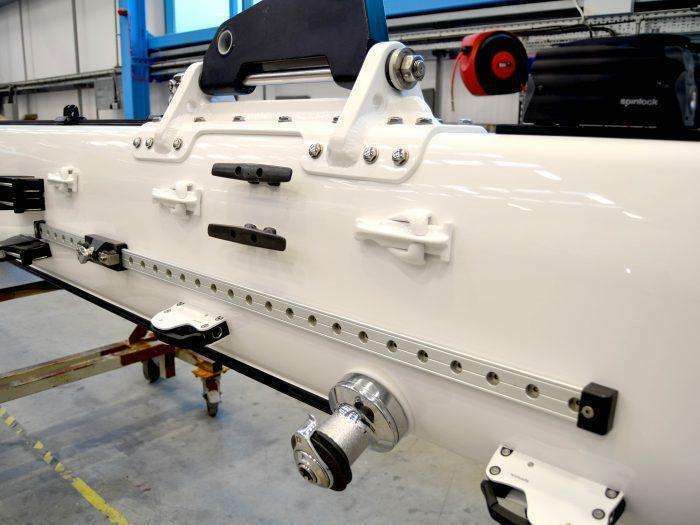 Airflow in the glossing booth of 0.4m per second to remove overspray allows the applicators perfect visibility during the critical top coating process, and each sprayer has a separate 2m x 2m large hull shaped test panel set up in the booth for test spraying. 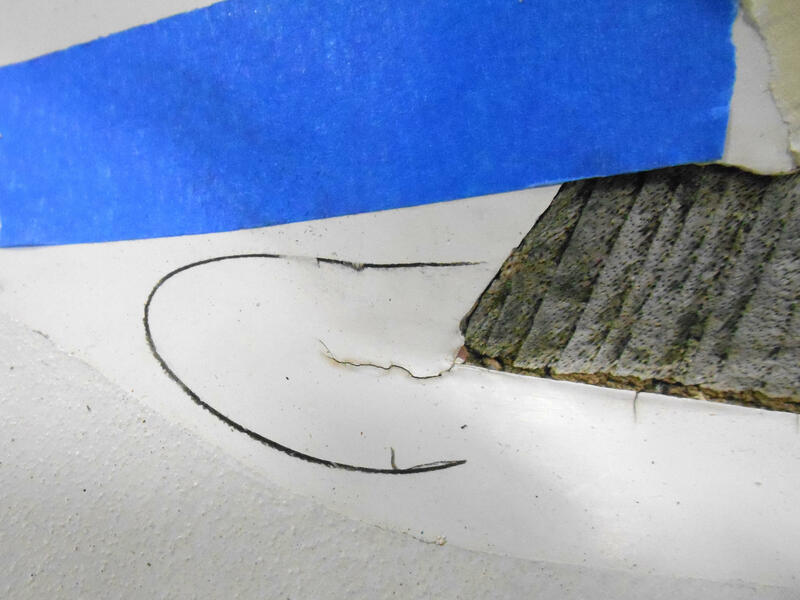 Flow and film thickness is checked before moving to the hull or coach roof areas. Meticulous calculations beforehand use the surface area to ascertain the amount of paint to be mixed, including a known overspray loss factor, and the three wet-on-wet top coat spray process completes the job. Berthon paint sheds are precisely temperature controlled with the spraying completed at a lower temperature to avoid surface cure prior to solvent evaporation (which causes an orange peel effect). Throughout the paint process, after a specified time each application session is then baked at product denominated temperatures, which also ensures the vital perfect chemical bond between coats. These and other processes result with an ‘off-the-gun’ finish, providing an excellent quality of sheen which requires no polishing. 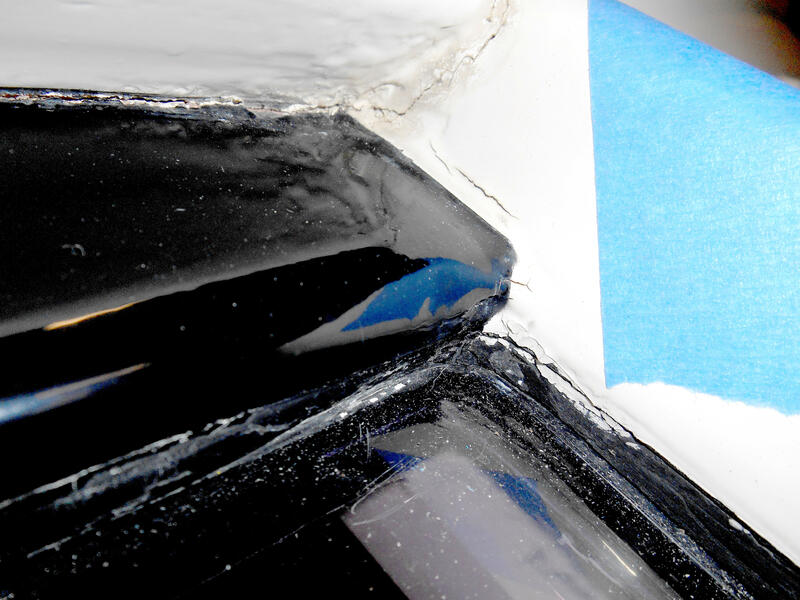 Prior to removal from the glossing spray booth, a water-based temporary peelable coating (TPC) is applied to protect the still relatively delicate gloss finish. TPC allows the paint to continue to cure and improve during the remainder of the refit project up to launch achieving a textbook finish. The deck was found to be only 7mm thick, on average, having suffered the wear and tear of 15 years at sea in largely tropical climes; the elements and years of cleaning had clearly taken their toll. 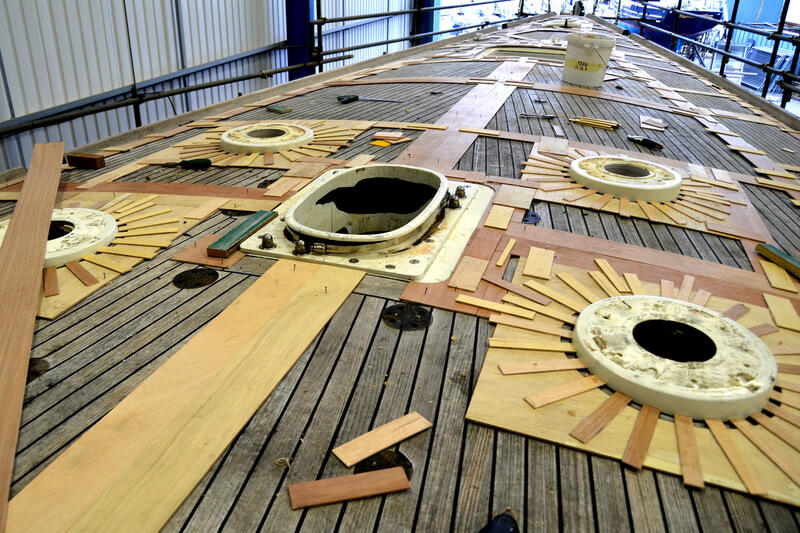 The teak area was templated, the toe rail was lifted in one piece and the old deck carefully removed. Where the subdeck was found to be damaged in places, this was repaired in-situ. 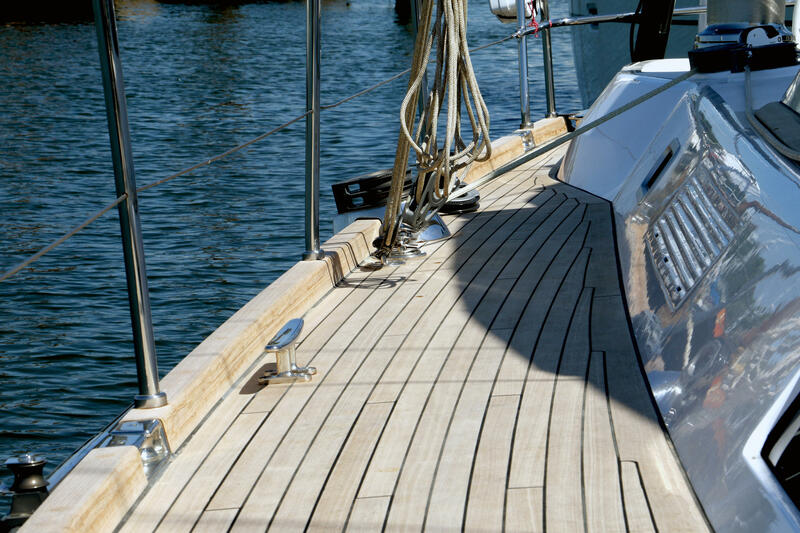 The new teak deck sections were laid on a fibreglass composite skin and, using an epoxy adhesive, it was glued to the subdeck with no through-deck fixings to prevent water leaks. Berthon custom-made a new teak toe-rail. 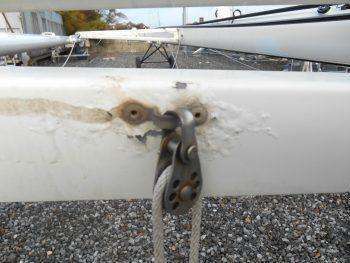 On visual inspection, using dye-testing as a diagnostic and bearing in mind the many miles she had completed along with the many more miles planned, Berthon recommended that the standing rod rigging be replaced. New foil sections were purchased and SSB isolators (which had been removed in the past) re installed. 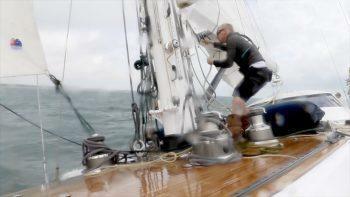 Every nut and bolt on the rig was replaced in A4 marine high-grade stainless steel. All the clutches were swapped with new high-tech, modern versions. All the sheaves were replaced. New wiring and lighting followed. The Navtec rams were all serviced. 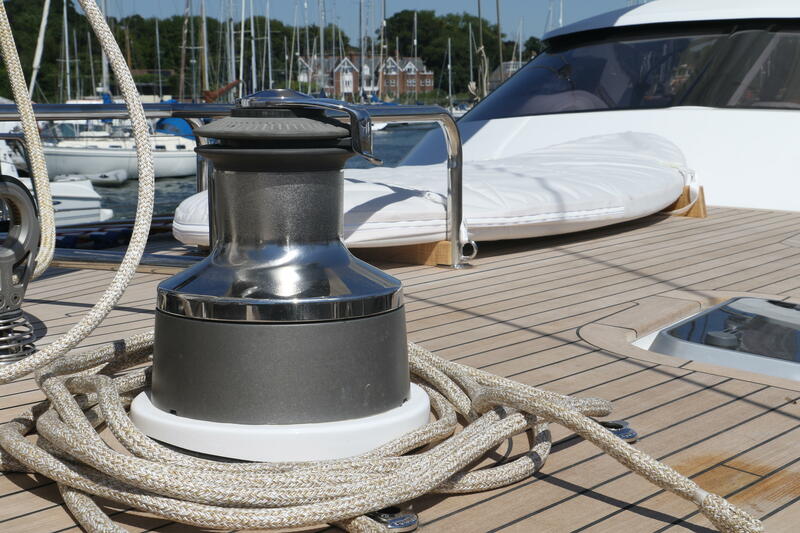 All the running rigging was supplied and spliced at Berthon with custom colours from DSM so that every line on board matched the owner’s specifications. 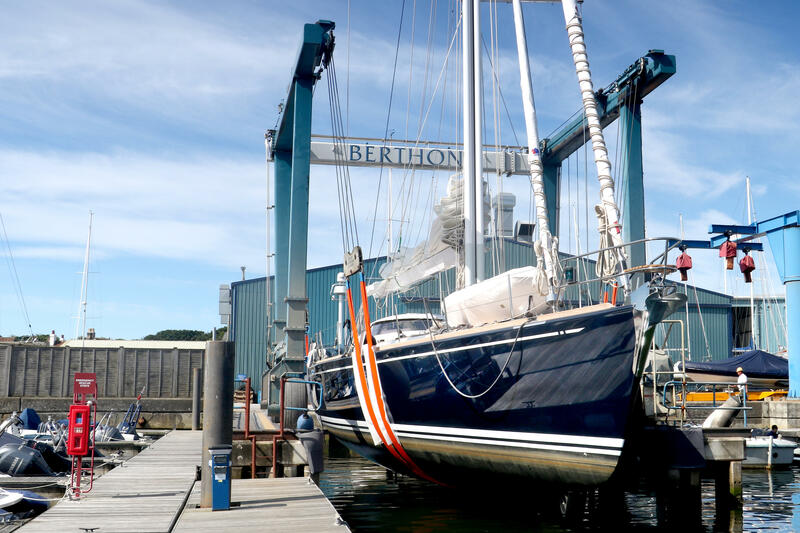 Berthon have a long pedigree building and refitting both commercial boats and leisure yachts, and the sea trial process is paramount at the end of such a comprehensive restoration. 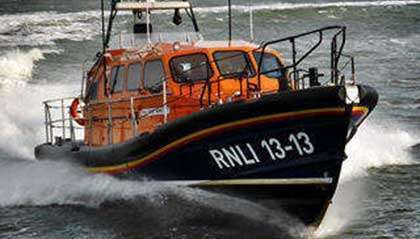 Set procedures have been honed through working with the RNLI, MOD, Pilot Authorities and professional Captains and owners of leisure yachts. 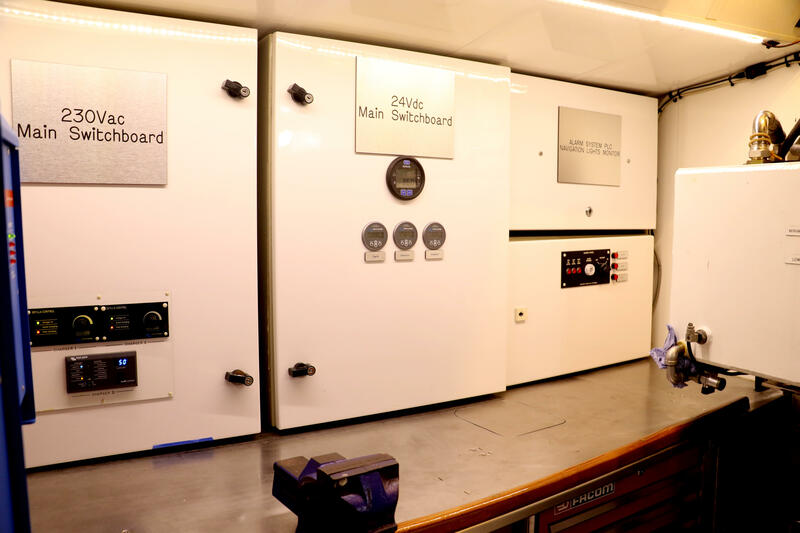 With the help of Vectis Marine Design Ltd all modifications, including electrical and engineering systems, were committed to purpose-specific custom manuals for Captain, crew and owner reference. 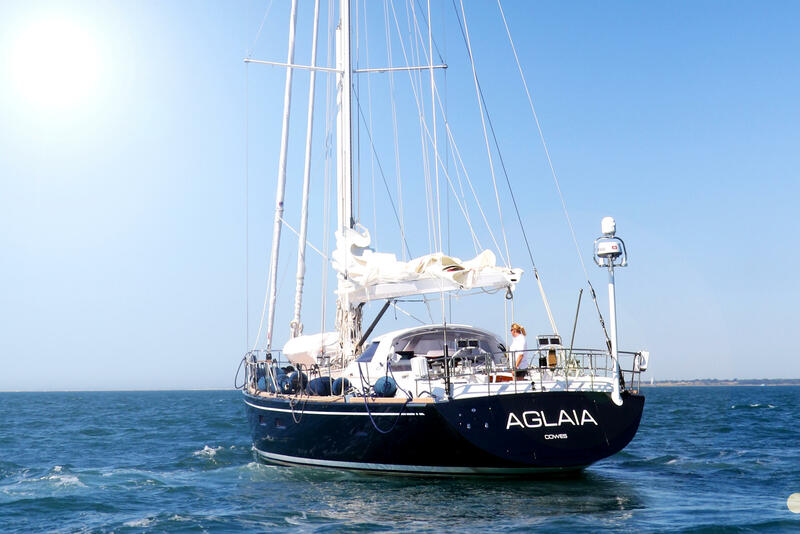 The success of the refit only becomes apparent with extensive use and we are delighted Aglaia has now resumed her normal cruising pattern in warmer climes. 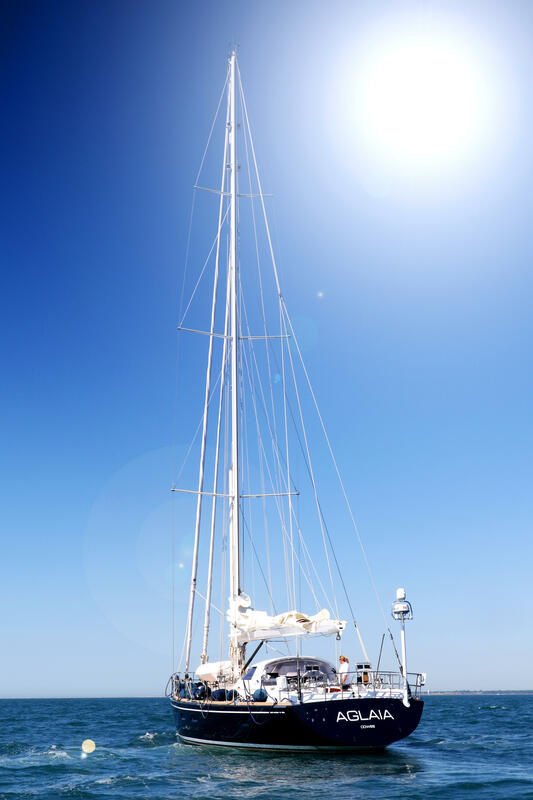 Buying a second hand yacht and then undertaking a substantial refit will deliver an owner a virtually new yacht for a fraction of the new yacht price, in substantially less time, and a sterling denominated refit benefits all parties.